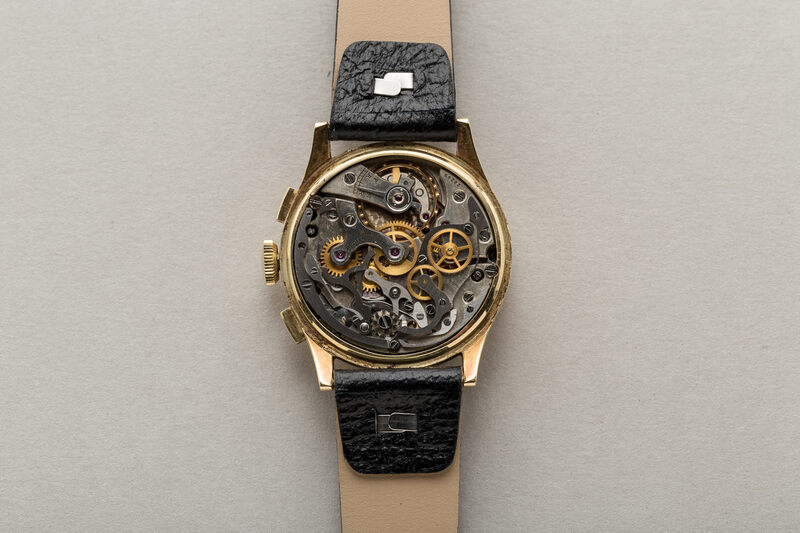 Overall, the watch is in very good condition. 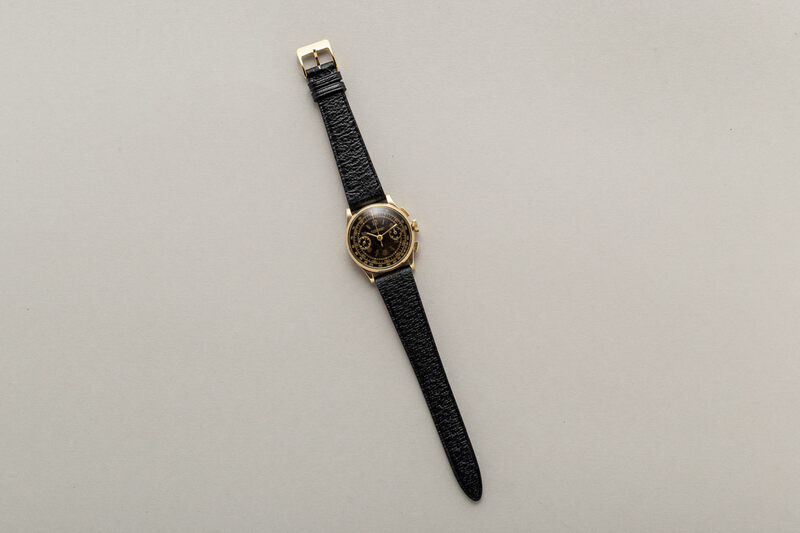 The originally black, glossy dial has developed a stunning tropical patina. 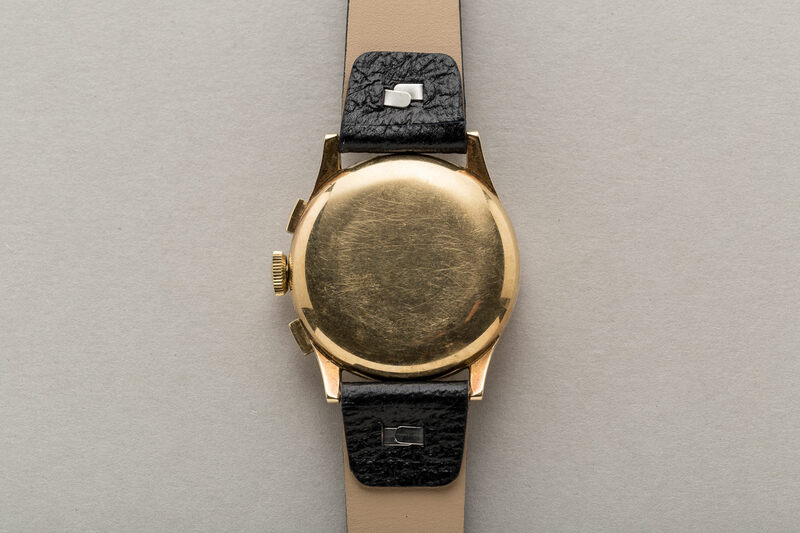 The watch case appears to be unpolished. 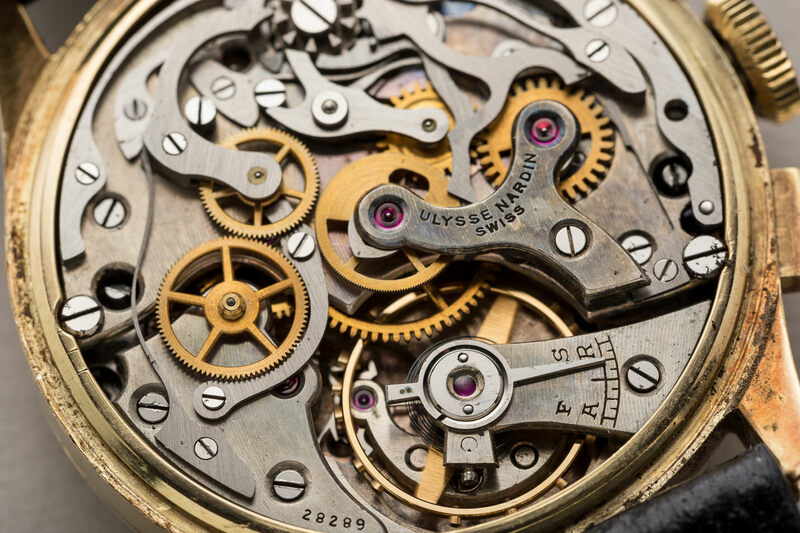 The ‘Ulysse Nardin’ Signature in the dial is galvanic – reverse print, very rarely seen on UN dials. 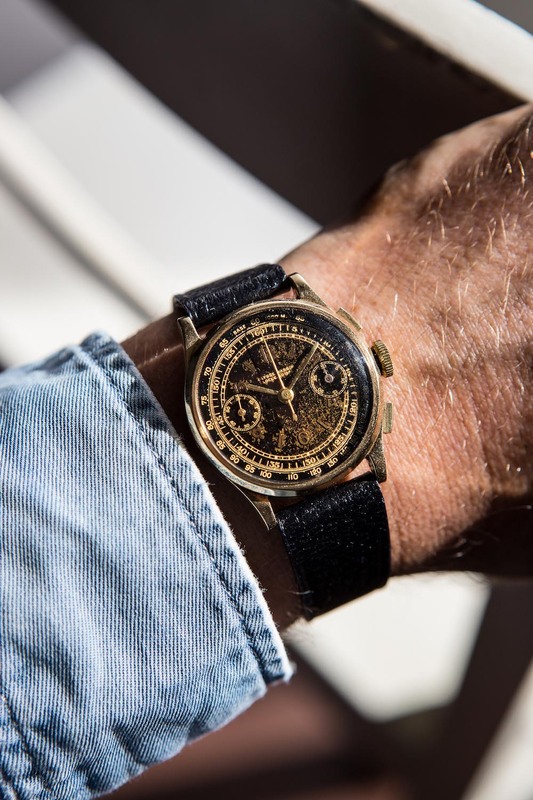 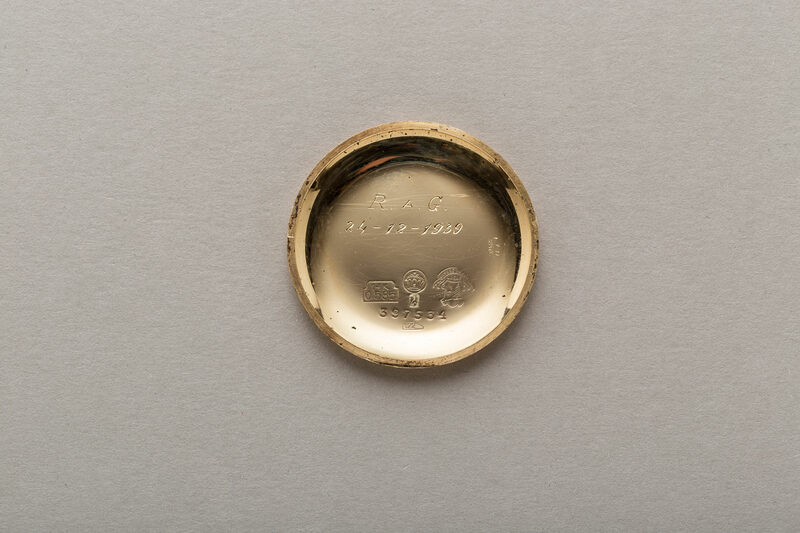 The inner caseback shows a initial engraving dating the watch back to 1939, as well as several hallmarks, underlining the authenticity of this timepiece. 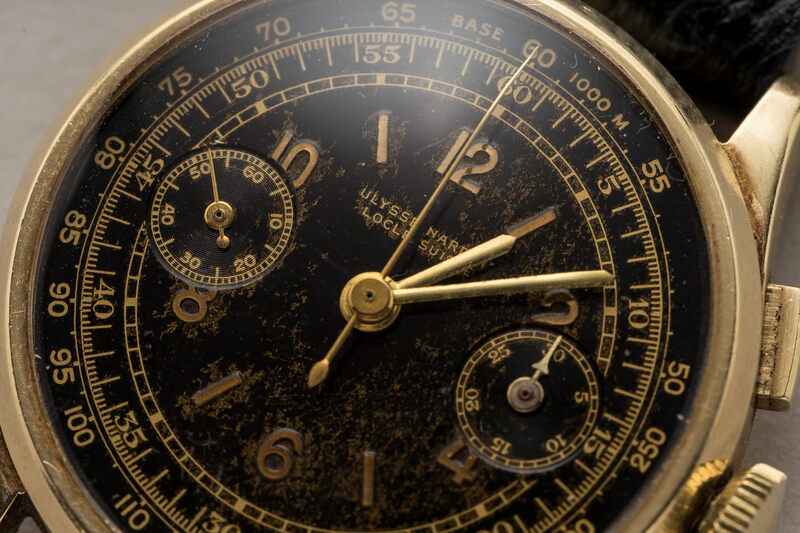 The recently serviced watch is in very good running condition, keeping very accurate time. 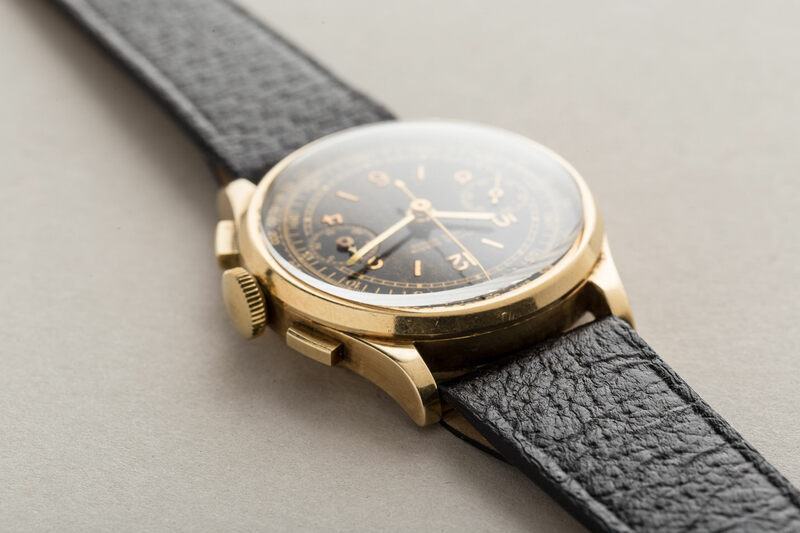 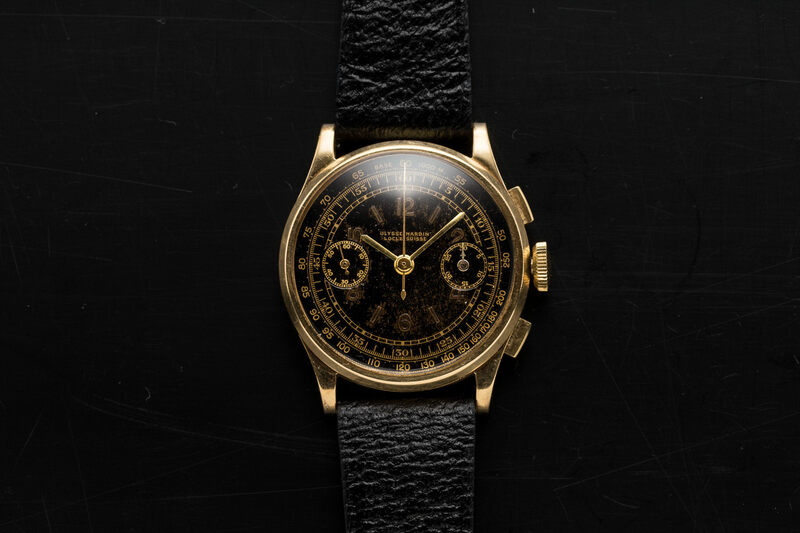 The watch at hand represents the peak of UN collecting, a super rare piece with lots of charisma.